The conflict between trees and above ground utilities (powerlines) has been an ongoing issue for decades. The conflict revolves around competition for space. Trees grow, as they grow their branches get taller and their tree crowns get wider. Above ground utilities are required, by federal mandate, to have a specific zone of clearance around them for safety. 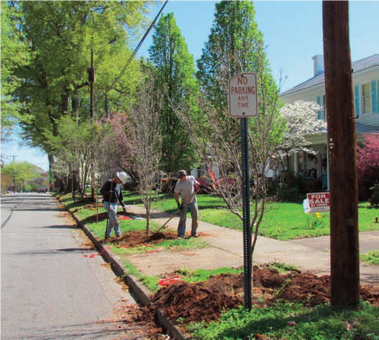 In many communities and neighborhoods, the most accessible area to plant trees is under or near the powerline right-of-way. This pattern inevitably leads to competition for space and conflict. 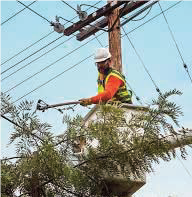 To eliminate power outages, and the dangers involved in the above list, utility companies prune trees for clearance. Sometimes it results in unbalanced crowns and what is referred to as “V-shaped’ crowns. The best way to avoid severe pruning cuts, is to plant the right tree, in the right place. To avoid conflicts you need to know not only the possible mature height of the tree, but also the height of the utility lines. We recommend that you do not plant directly under powerlines, unless you are confident, they will not mature at a height that puts them in direct contact with utility lines. It is better, where possible to offset the tree to one side or the other. 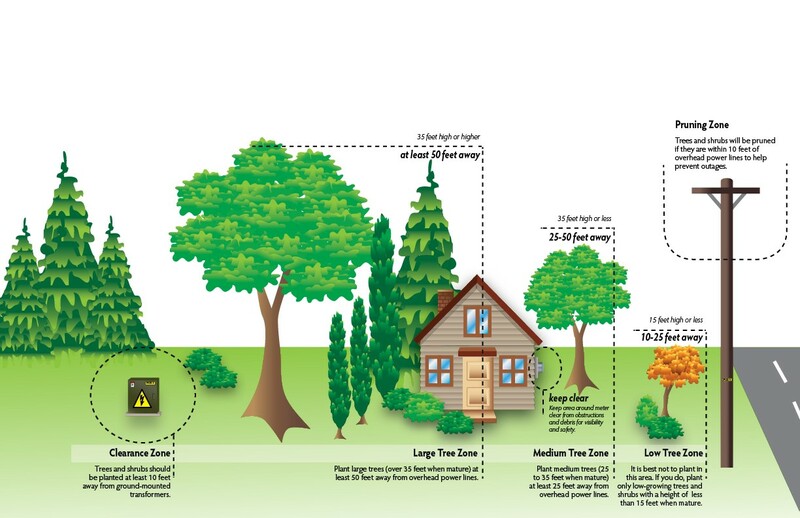 If you are planting multiple trees or shrubs around a utility line, you need to consider the spacing between the plants. Paying attention to above ground utilities and making sure to only plant small maturing trees (less than 20 ft) will avoid future conflicts.